In the Year Nineteen hundred ninety six, in the bustling heart of the Indian Garden City, Bangalore, arose three restless teenage souls with a common vision, of exploring the art of creating an intense aural and visual experience. This small band of musicians evolved into an entity, titled Threinody, a name derived from the language of the ancient Greeks, signifying a song of grief, a dirge. Threinody is a combination of three life forces. This trio engaged themselves in creating a sound, shaped by various sources of inspiration, ranging from the dark intensity of Slayer, the all-enveloping Pink Floyd sound, to the sonic heaviness of early Metallica. The influences and playing styles are distilled into a heady, spicy waltz bordering on speed / thrash metal. Threinody play a style that criss-crosses a landscape of musical genres encompassing explosive thrash metal, stoner-psychedelia and technical experimentation. The band’s music, always sonically and temporally dynamic, shifts moods, from brooding to energetic and in between. Threinody’s music is inscribed with lyrics of war, reincarnation, solitude and the various aspects of life and death. Eschewing the blatant path trodden on repeatedly by most contemporary extreme music bands, Threinody’s music is heavy and subtle, at the same time. Sharing a healthy disdain for the exceedingly relative English terms mainstream, underground and commercial, the trio refuse to play music that is compartment-isable. The trio, not afraid of experimenting and going `beyond’, collectively hold a healthy disregard for `convention’. Self-taught musicians, respecting the punk rock principle of `D.I.Y.’, Threinody fuse their varied playing styles into an unrelenting metal mesh. AC/DC, Accept, Accuser, Anacrusis, Annihilator, Anvil, Artillery, Autopsy, Bathory, Believer, Benediction, Black Sabbath, Blessed Death, Blind Guardian, Candlemass, Cancer, Cannibal Corpse, Carcass, Celtic Frost, Coroner, Cryptic Slaughter, Dark Angel, Death, Death Angel, Deceased, Def Leppard, Deicide, Deliverance, Demolition Hammer, Destruction, Devastation, Exciter, Exodus, Flotsam and Jetsam, God Dethroned, Grip Inc., Grim Reaper, Helloween, Hirax, Iced Earth, Impetigo, Incubus (Opprobrium), Iron Maiden, Jag Panzer, Judas Priest, Kreator, Living Death, Living Sacrifice, Loudblast, Malevolent Creation, Manowar, Mekong Delta, Metal Church, Metallica, Mortification, Motorhead, Nevermore, Nuclear Assault, Overdose, Overkill, Ozric Tentacles, Pantera, Pestilence, Pink Floyd, Powermad, Pungent Stench, Razor, Realm, Re-Animator, Rigor Mortis, Rudra, Running Wild, Rush, Sacrifice, Sadus, Sanctuary, Sepultura, Slaughter, Slayer, Sodom, Steve Vai, Suicidal Tendencies, Tankard, Testament, Tourniquet, The Tea Party, Therion, Van Halen, Vengeance Rising, Venom, Vio-Lence, WASP, Whiplash, Xentrix, Yes. 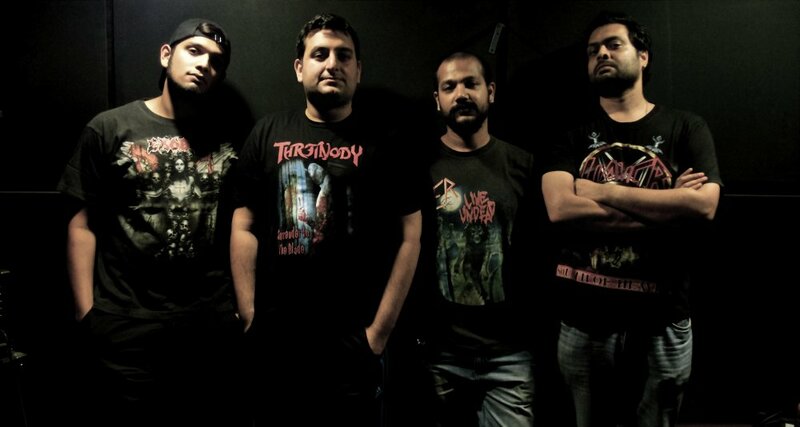 Tagged: Bangalore, Indian metal bands, Indian rock bands, Metal bands, Metal shows., Rock bands, Rock shows, Threinody.